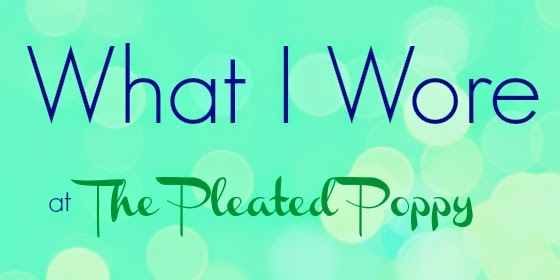 It's Wednesday and I a once again linking up with The Pleated Poppy for What I Wore Wednesday. This is one of my most comfortable outfits. I loved it so much that I wore it to work on Thursday and then again to church on Sunday! I figured that it was two different audiences so wearing it twice in the same week wouldn't be the end of the world. This was my outfit for work on Thursday and I decided that with the comfort of the maxi skirt I would forego the Spanx. Bad decision! Next time I will wear my Spanx with this outfit. And Tuesday's outfit. Up until last week I hadn't worn leggings since I was 12, but I am falling in love with them.